The National Safety Council (NSC) is promoting the month of April as Distracted Driving Awareness Month and encourages everyone to take the NSC pledge to drive cell free at nsc.org/pledge. 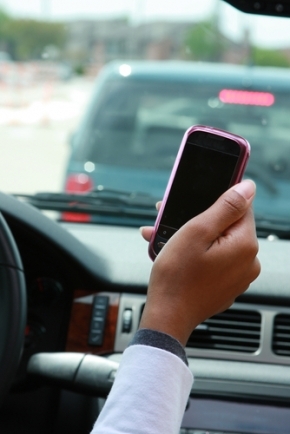 Thousands of fatal crashes each year involve drivers using cell phones. Those interested in getting involved in this issue can get started by taking the pledge. They can also find a variety of downloadable materials including posters, videos and more at nsc.org/ddmonth. April also is a perfect time for employers to begin implementing total bans on cell phone use while driving for all employees. NSC developed its free Cell Phone Policy Kit to help employers interested in implementing or enhancing a policy. National Distracted Driving Awareness Month was introduced as a resolution by former Rep. Betsy Markey (D-CO) and passed by the U.S. House of Representatives in a 410-2 vote on March 23, 2010. The resolution mentions 9-year-old Erica Forney, who was struck and killed by a distracted driver in Fort Collins, CO, in November 2008. Erica’s mother, Shelley Forney, is a founding board member of FocusDriven – Advocates for Cell-Free Driving. Visit nsc.org/ddmonth throughout the month of April for additional materials.